Phil’s Story… Lost 18kgs & Has More Energy! 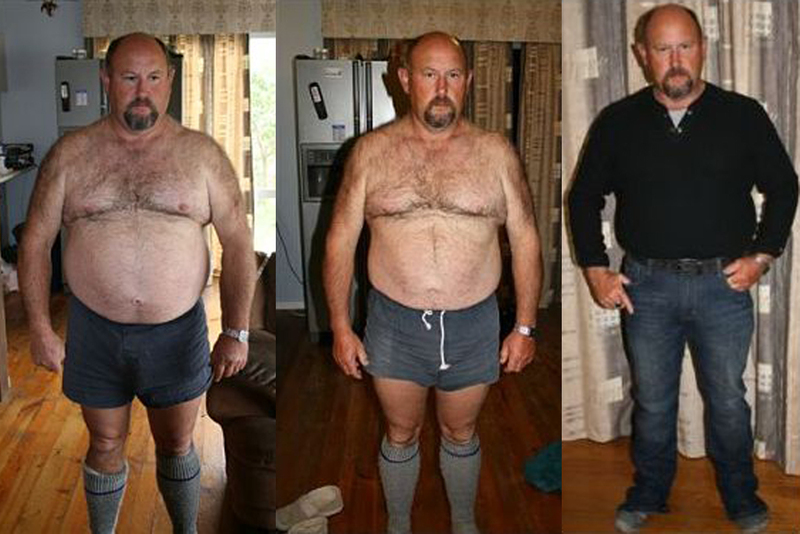 Home Recommended Phil’s Story… Lost 18kgs & Has More Energy! When Graeme introduced me to Pure hCG I was really sceptical as I had tried heaps of diets before and nothing had worked for me. My doctor told me I needed to lose some weight so I decided to give it a go when my wife Wendy said she was going to do it too. I was amazed as straight away the weight started falling off me every day. I found Graeme’s program easy to stick to and I didn’t feel hungry. After 40 days I had lost 16.4kgs and have since lost another 1.6kgs – total 18kgs of fat which I still can’t believe. I lost 14cm off my chest, 18cm of my waist and 12cm off my hips. I have more energy, I feel lighter, I don’t pant anymore and I can see my feet again. I am so pleased that Graeme’s program worked for me now I am going to have a break and then do the 20 day program to get to my goal weight. Thanks Graeme & Dee for helping me to get healthy, get into my jeans again and have more energy. Phil.